The mod, posted on the Widescreen Gaming Forum by user jackfuste, is still being tested and might cause bugs, but it’s letting some players run the game at more than 100 fps. To get it to work, you’ll need to download the mod from the link above, unpack Sekiro using Steamless, run the patcher and apply the patch to Sekiro.exe. I’d only recommend it you’ve tried this sort of thing before, but if you’re confident then it could give you a big performance boost. If you’re having trouble getting it working, make sure you click through the rest of the forum thread, which contains plenty of troubleshooting ideas. It seems to be working better in windowed mode than in fullscreen. 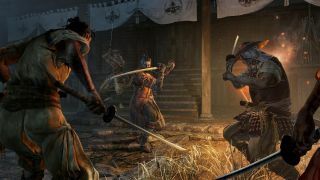 Tom’s review in progress of Sekiro is here, and keep your eyes peeled for the full review next week.